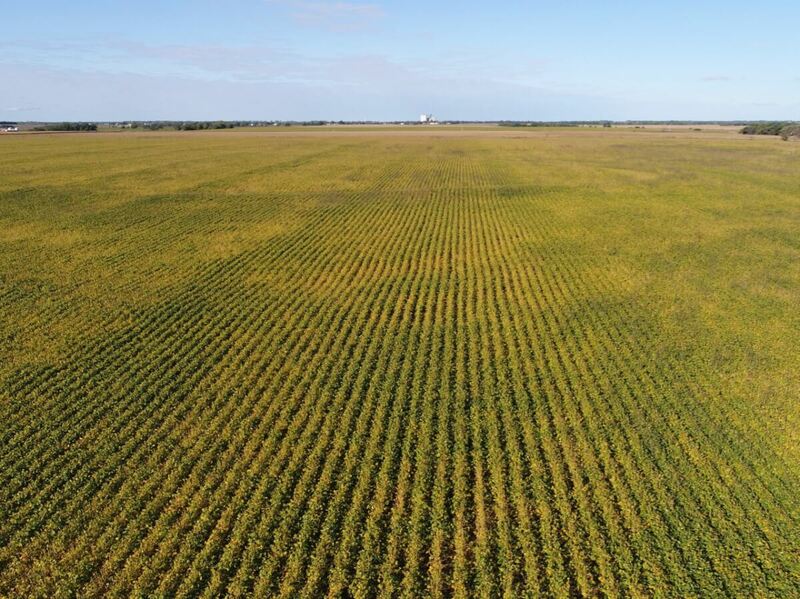 PROPERTY DESCRIPTION: 160+- acres of tillable land located in Northeast Sedgwick County, Kansas. This property is currently planted to Soybeans. There is an old windmill on the property not currently in use, possibly a source of water for future livestock grazing. Invest in Land and Agriculture! LEGAL DESCRIPTION: The E/2 NW/4 AND the W/2 NE/4 of Section 14, Township 25 South, Range 2 East of the 6th P.M., Sedgwick County, Kansas. LAND LOCATION: From I-135 North of Wichita, East 7 1/2 miles on 101ST St N to 127TH ST E, North 1 mile to 109th St N, East 1/4 mile to the property OR 1 1/4 Mile East of Furley on 109th St N.
2017 REAL ESTATE TAXES: $801.19. TERMS: Earnest money is $35,000 down at the conclusion of the Auction with the balance due upon Sellers submission of merchantable title and closing. Closing date shall be on or before December 20, 2018. Closing fee and title Insurance fee will be split 50/50 between Seller and Buyer. Selling subject to easements, restrictions, roadways and rights of way. This property is not selling subject to financing or inspections. Interested buyers need to view the property prior to the date of the auction and have financing available and any inspections performed prior to bidding. All pertinent information is available upon request. All announcements made the day of the auction take precedence over any other announcements or printed material.